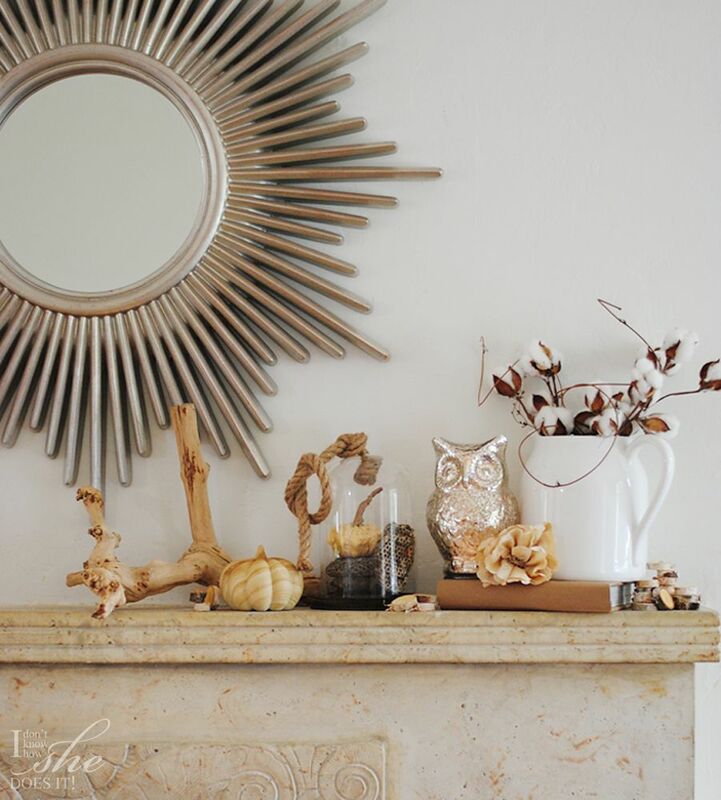 Love decorating my new fireplace with some Fall accents. Here I use a wooden pumpkin from Target, apothecary vase from Michael’s, mercury glass owl from Home Decorators Collection and a porcelain vase from HomeGoods. Stay tuned for an exciting giveaway on Monday (hint: sun rays!). After all the craziness that a construction brings, finally I can take a clean (dust free) breather and start bringing in some old furniture and accessories from our apartment, but also new ones. I remember that when we bought this house the floors were one of the first items in our “to-do-list”. Perhaps you don’t remember, but ours were almost black and although they are real wood, the previous owner decided to cover some damaged slabs by painting it with a very dark color. Thanks heaven for Cleon’s company (Wood Floor Solutions and Design) who were the super guys that brought our floors to life again with some TLC and lots of sanding. Now instead of having an illusion of a small and crowded space, the feeling of amplitude and brightness has taken over the entire house. I love having a space where I feel natural light bouncing back and forth from one wall to the other and this floor helps with this. 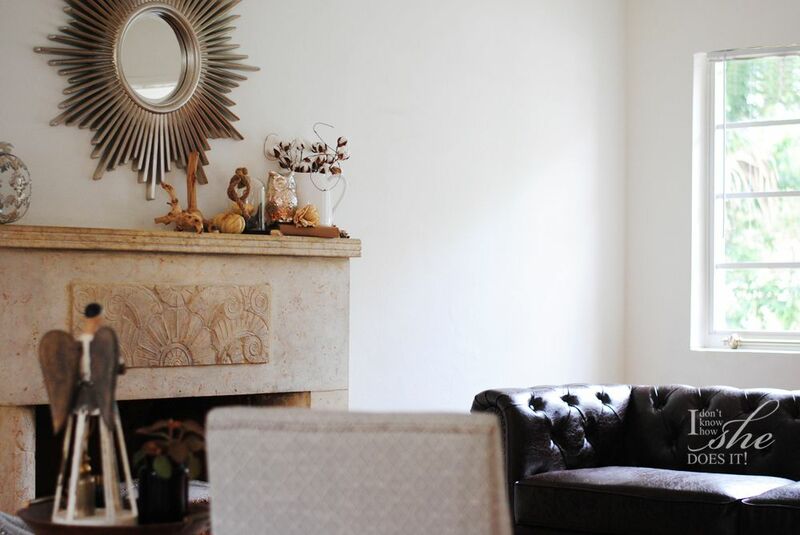 On our living room, where that gorgeous 1938 fireplace is, I’ve indulged in using a neutral palette allowing the natural light to bring up the textures and finishes of pieces I’m using to accessorize. Although I know I’m far from finishing this area, I feel extremely happy every time I come home and see my new Chesterfield inspired sofa from Home Decorators Collection (Gordon Tufted Sofa) bathed in the soft light of a beautiful sunset. What is your favorite color palette? 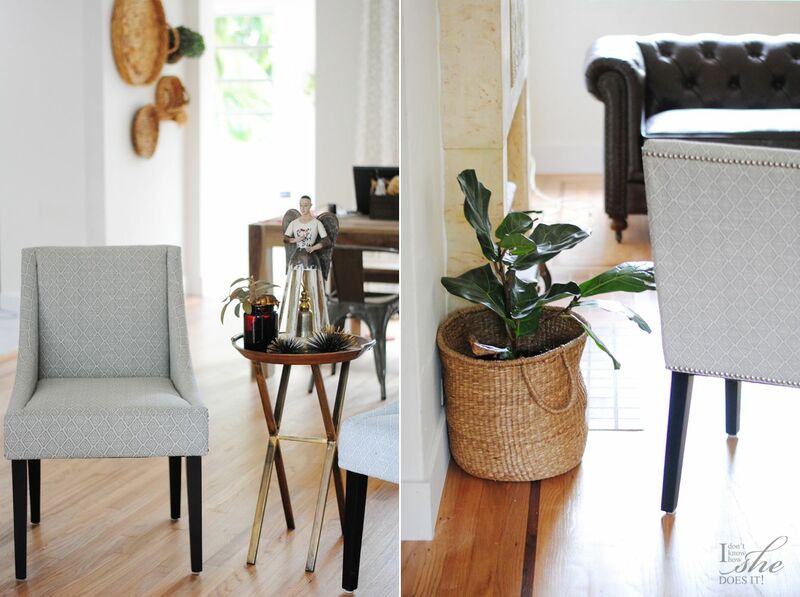 Would you prefer color over textures in a space or can you live with both? Share any thoughts with me; I love to hear from you!! Very nice cozy room ! Thanks for sharing…….